Today, I’m shining the light on someone I really respect a lot. Someone who rose from photography to professorship in the same university. I’m talking of no other person but Professor Ademiluyi Benson Oluwafemi of Ekiti State University. Prof. Ademiluyi presenting his inaugural lecture note to the AG Vice Chancellor of Ekiti State University. 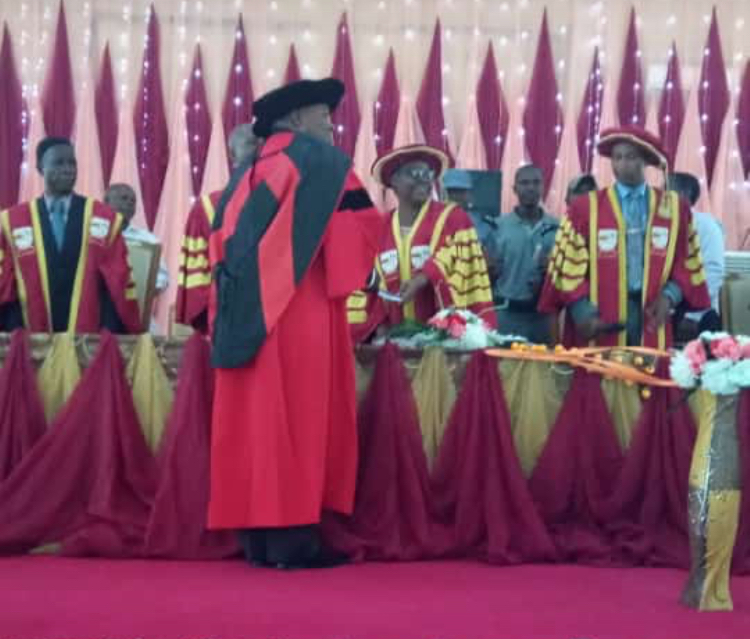 Prof. B. O. Ademiluyi delivered the 50th inaugural lecture in Ekiti State University on Tuesday, 19th of March, 2019. Before then, he had faced several challenges; both academically and spiritually. The most interesting part of the story is the fact that he rose from being a photographer to a professor in the same University campus. 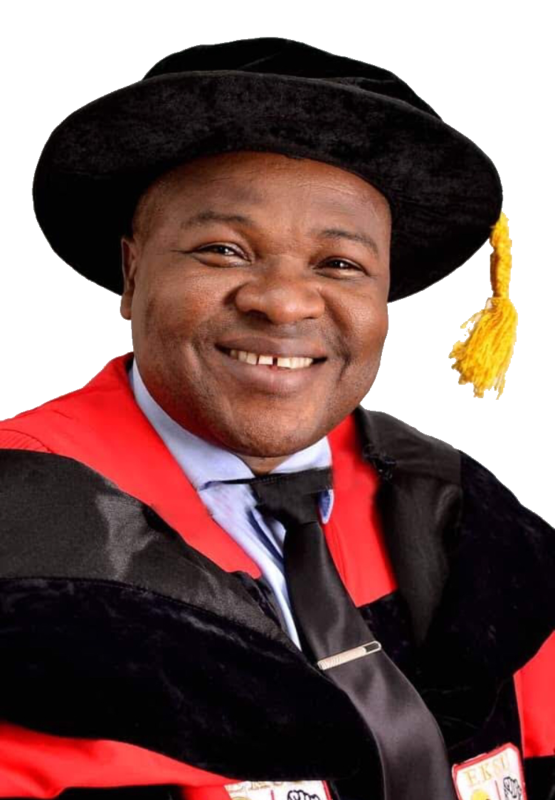 Prof. B. O. Ademiluyi hails from Arisegba-Ekiti, Ekiti state, Nigeria. After completing his first degree at University of Ife (now Obafemi Awolowo University – OAU), he had to return home to farming to make ends meet. In 1990, he left home to Ado-Ekiti, Ekiti state, Nigeria to become a photographer. His station of work was Ekiti State University (then, OSUA – Ondo State University, Ado-Ekiti). It was at the time of being a photographer that he met his beautiful wife, Mrs Adenike Omolade Ademiluyi. He recalled of how people used to mock his wife calling her “Iyawo Onifoto” meaning the “wife of a photographer”. Despite all these, his wife stood by him and loved him the way he was —a lesson to young women. At that time, photographers were seen as rather unfortunate. It’s a different story today. While still working as a photographer, he put in for his Masters at the Federal University of Technology, Akure (FUTA) where he faced challenges and had to spend a whopping four years before completing his masters studies. He would later start his PhD program in Ekiti State University with Prof. Joshua Kayode as his supervisor. I wrote about both of them in my bestselling book, I Have Been There Before. It was in this same school that he became a Professor. Prof. Ademiluyi attributed all his success to God, his father, wife and loved ones. Don’t ever give up on your dream. You can become great in the same environment that people have or they’re mocking you if you don’t give up and put all your trust in God. If Prof. Ademiluyi who was a nobody could rise to become somebody, you too can.